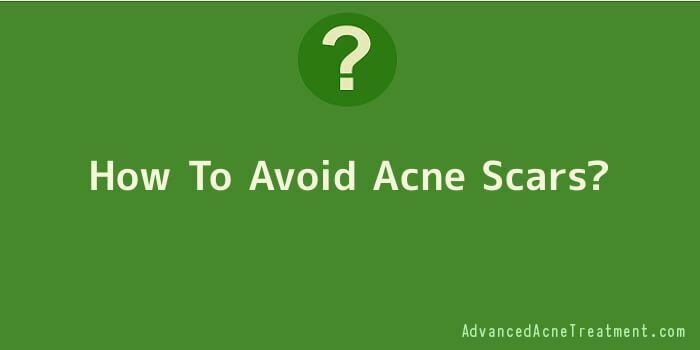 How To Avoid Acne Scars? After acne is healed, we are left with acne scars. Acne scars take times to heal, some acne scars will disappear after a couple of months, but some acne scars will stay and become permanent scars. Most people who suffer from severe cases of acne scars must start treating acne while it is still early. Don’t wait for it to get worse. 1. Stop your acne from developing. This is the most important rule to remember, if you have acne you should treat it early, so that it will not develop into a severe case of acne. There are many acne medications you can use to start treating your acne, some acne medications contain benzyl peroxide that can heal acne fast, some acne medications contained benzyl peroxide and aloe-Vera extract which are very effective elements that can heal acne fast and remove acne scars. 2. Avoid squeezing; popping or picking your pimples. I know it is very tempting to squeeze that pimple, but if you do this, you will further spread the infection deeper into your skin. The bacteria from your hands will transfer on the acne-affected skin that you have touched, and those bacteria will spread creating more infection in your acne-affected skin, also squeezing a pimple can actually push the bacteria deeper into the skin, this will make the condition of your acne worse. 3. Avoid irritating those inflamed acne lesions. Inflamed acne lesions are the number one responsible and contributor of deep acne scars, this kind of acne is filled with pus, and is painful to touch, don’t irritate this kind of acne by scrubbing or any method that can irritate it, because in the end if this kind of acne were irritated will develop into a deep scar after it healed. 4. Dermabrasion is a medical procedure used by dermatologist. This process involves removing the surface of the skin by abrasion, this medical procedure is very painful and takes several months to heal; dermabrasion is useful for removing scars or any imperfection on the skin. 5. Medications with aloe Vera extracts. A medication that contains aloe Vera extracts is good for removing acne scars. Aloe Vera has a respectable reputation for removing scars, for moisturizing the skin, as anti-inflammatory agents. Aloe Vera contains anti-bacterial properties that fights infection, tightens and balances the skin; it minimizes scarring and speeds-up healing. Aloe Vera regenerate and heal scars from inside out, because it has enzymes that help skin tissue regenerate. It is used to heal pimples, cuts, psoriasis, itching, burns and many skin problems.